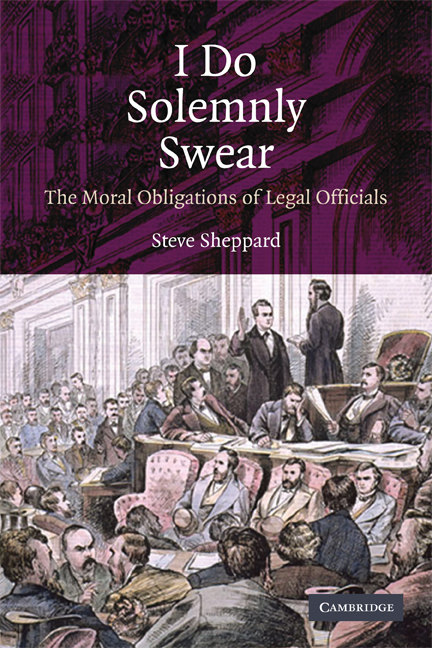 Stephen Sheppard is the author of I Do Solemnly Swear: The Moral Obligations of Legal Officials (2009). Sheppard is the William Enfield Professor of Law at the University of Arkansas School of Law. He has written articles in legal history, legal philosophy, international law, and the practice of law. He clerked and practised law in Mississippi and throughout the South and lives with his family in the Ozarks. He completed his doctorate in the science of law at Columbia University and holds other degrees from Columbia, Oxford University, and the University of Southern Mississippi.